How will this guide help me and my organization? Marketing plans should help businesses compete in the future, yet the future is unknown since it is shaped by both long-term trends and one-off events. To help make marketing plans more effective, forecasting trends and modelling their impact through spreadsheets can help show the opportunity of potential for future leads and sales and minimize risk by more accurately forecasting. We can improve future marketing budgets and plans if we use data and analytical tools to create well-considered forecasts. Credible forecasts can also help convince colleagues to invest in marketing if these forecasts are well-grounded on facts. 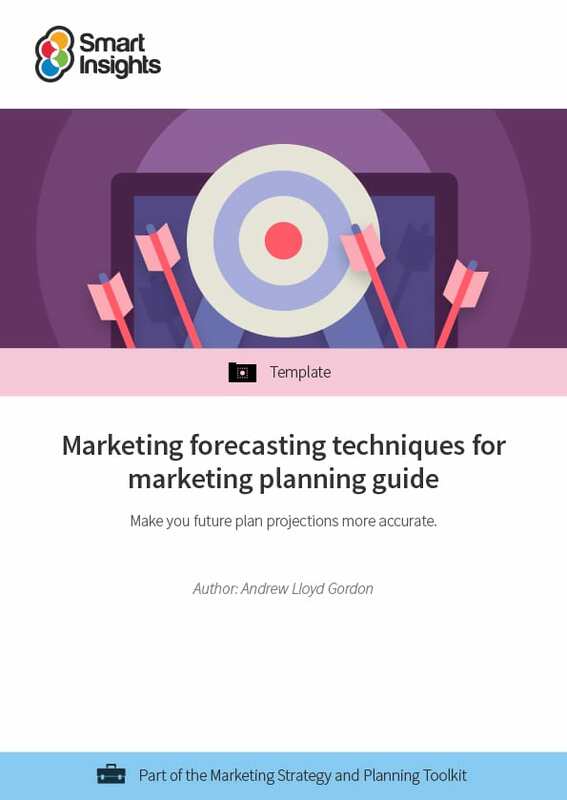 This guide will show you some of the best techniques available for creating forecasts for modern marketing plans, and so will help you create more accurate plans. This guide focuses on techniques that quantify the opportunities to generate leads and sales online, so it is particularly aimed at creating plans for digital marketing or these parts of marketing plans. Which marketing forecasting techniques does the guide cover? In our experience, although budgeting is a key marketing activity, surprisingly few Marketing Managers generate marketing forecasts or understand their power.